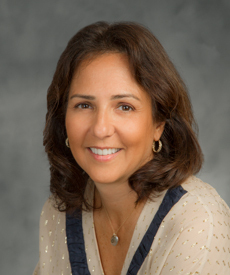 Dr. Lyda Rojas is a board certified general surgeon who specializes in breast surgery at CareMount Medical. Dr. Rojas is the director of breast surgery at CareMount and Putnam Hospital Center. She also serves as the chairwoman for the Putnam Hospital Center Cancer Committee and as the physician liaison for American College of surgeons Commison on Cancer. Dr. Rojas received her medical degree from New York Medical College and completed her residency in general surgery at St. Vincent’s Hospital and Medical Center of New York. After serving as a general surgeon for more than 20 years, Dr. Rojas made the decision in 2014 to concentrate solely on breast surgery. Since then, she has been instrumental in growing the breast care program at Putnam Hospital Center. In 2016, Putnam Hospital Center was accredited by the National Accreditation Program for Breast Centers, a designation administered by the American College of Surgeons. Dr. Rojas also spearheaded an initiative to open an Integrative Health Center at Putnam Hospital, providing breast cancer patients with complimentary alternative therapies including yoga and massage to aid in their healing. Dr.Rojas is an active member of the American Society of Breast Surgeons since 1995.